Love fashion? Then like many others, you probably dream of starting your own fashion line. While years ago, this would definitely have been a pipe dream, but now thanks to the internet, it’s easier than ever to get started. While it might be easier to start a fashion business today, it’s not a move for everyone. With a lot of competition out there it can be a tough industry to breakthrough, and there are many factors to consider if you’re going to turn your business into a success. If you’re thinking of giving it a go, you’re going to need to know what you’re up against first. Here are some things to know before starting your own fashion line. Many people dismiss the idea of starting a fashion business because they lack design experience or they’ve never worked in fashion. Fashion is a creative industry, and if you have the vision and passion to make it work, then experience doesn’t matter. You could possess talents that nobody’s seen yet, or you could simply have a great idea for a business that you want to put in motion. Sure, experience can help you find contacts in the industry, but it won’t take long for those without prior experience to make their mark. Fashion is everywhere and the internet has meant that the competition in the industry is fiercer than ever. If you look at the UK as an example, the online retail market is worth £67 billion thanks to brands like ASOS, Boohoo, and Pretty Little Thing, which are now global successes. These stores are online-only, and they’re dominating the markets. However, in addition to these huge online stores, there are also existing brands to compete with who also have an established online presence. There might be a lot of competition out there, but if you’re determined to give it a go, you’re going to need to work hard to turn your business into one of the success stories. Finding the right niche for your fashion line is important. What makes you stand out from everyone else? It’s also worth looking at trending fashion to see what is worth the investment. By choosing to work with swimwear manufacturers, for example, you can create products that are in-demand and that people want to buy. Swimwear is a great area to get started in, with social media influencers finding it easy to market swimwear as they travel to exotic locations all around the world. Whichever area you choose to focus on, make sure you can develop something that’s unique and special to you to help set you apart from the rest. If you think that well-known fashion houses achieved success overnight, you’d be wrong. Coco Chanel, Jimmy Choo, and other famous designers worked hard to get to where they were, grafting in the industry for many years before achieving success. You’ll need to be prepared for long hours, irregular working patterns to handle overseas calls and meetings as well as various takes until things turn out right. If you’re serious about succeeding, you’re going to need to work hard. If you’re not meeting investors and others in the industry, you’ll be at home working on your pieces as well as your marketing and other elements. At the end of the day, you’re building a brand, and that’s something that can be years in the making. 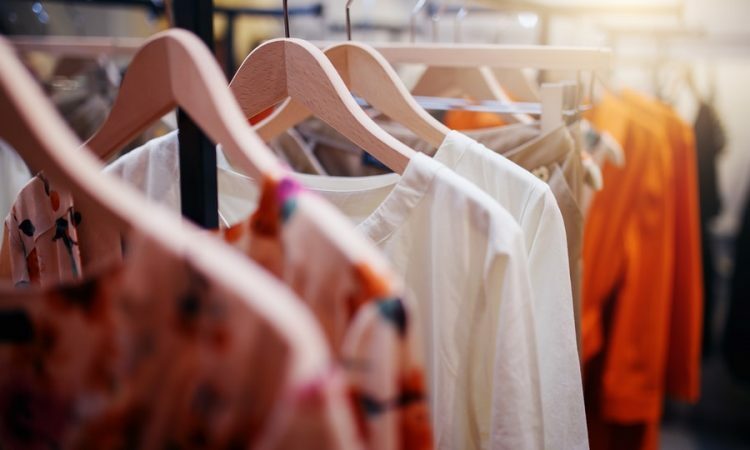 Starting a fashion line alone can be a tough and lonely situation, so you might want to consider bringing someone else on board to share the burden and take on some of the work. Like music, film and even food, everyone has different tastes. The fashion industry is no different. Some people will love your products, others might have them. While you might take the criticism to heart, you should remember your own feelings about fashion and realize that while your pieces might not be one person’s taste, it could easily be someone else’s. Focusing on the customers who do love your items is important, and offering them a good service will provide you with great customer reviews, as well as valuable word of mouth. Finance is an important aspect of the fashion industry. Not only will you need money to get started with your business, but you’ll also need to know how much things are worth to help you work out appropriate price points. As well as the cost of the clothes themselves, you’re going to need money for tech, marketing, staff costs and more – so studying up on business money matters or hiring someone to look at the financial aspect can be a big help to you. Fashion is an ever-changing industry, so designing one great line of clothing isn’t going to cut it. When your clothes are out there selling, you should already be focusing on what happens next. Stay up to date on the latest fashion trends to help you come up with new ideas that will keep you ahead of the game. Attending fashion shows and industry events will help you to broaden your knowledge of upcoming trends and will keep your work relevant. The great thing about the fashion industry is that it could take you anywhere. Sophia Amoruso is a great example of someone whose passion for fashion has taken her beyond it, while Tom Ford’s venture into directing has proven to be a fantastically successful side venture. Despite all of the hard work and the uncertainty, if things take off – you could be looking at so much more than your fashion line. Fashion is a passionate industry, and if you believe you’ve got what it takes to succeed, you should go for it. Doing something you love can bring immense job satisfaction that few achieve in life, so if it feels right – what’s stopping you from getting started? Brilliant article Daniela, and so helpful to see this area of business being discussed on your blog. Loved Girlboss for how it showed how it is indeed possible to start a different type of business, harnessing the power of the internet. Thanks Kia and yes, you’re exactly right. Almost every business can be started out online, and there’s no reason why fashion shouldn’t be included in this. Loved watching Girlboss and found it was really inspiring. Yes, it showed the struggle and rough times of starting in fashion, but the determination was just remarkable. Good piece Daniela, and I agree it’s refreshing to see this subject being discussed on a blog like yours. Fashion is a huge industry, as you say, and there are plenty of opportunities if you’ve got the passion. Treat it like any other business and work your hardest and there’s no reason why fashion can’t make you a profit.